Welcome back to another year of CASE-ing the Catty Blog Hops. I am so glad to be back in the craft room creating again. It felt like it had been ages, but was only a few weeks. After 3 weeks of school holidays, I think I found my sanity in there. Today I am sharing my favourite project from the Occasions Catalogue. There were so many to choose from, but I decided I loved the Going Places suite the most. Whilst browsing the catalogue, my eye was drawn to the cute box frame on page 38. Here is a picture of how it appears in the catalogue. 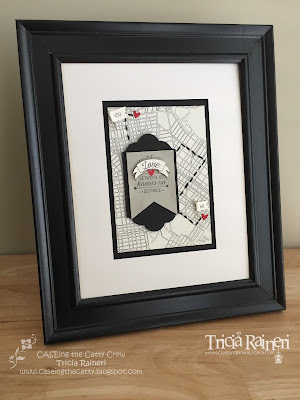 I had an A4 sized black frame sitting around empty, so it was perfect for this project. This is my first sewing ever on a card, well technically it isn't a card is it! Here is a close up of my awesome sewing lol. I snipped up some leftover reindeer clips from the Holiday catalogue for my little flags. My trusty Owl Builder punch supplied the little glimmer hearts. When I finished making the frame I felt it needed a card to go with it. There were a few extra bits on my desk so I made this matching card. I wanted to make this more neutral so I omitted the red glimmer hearts & replaced them with Sahara Sand & Vanilla ones. The Going Places DSP stack has such lovely masculine prints & patterns & is sure to be a favourite amongst a lot of my customers. I bet you will love it too. I actually surprised myself picking this as a favourite project as there were so many "pretty" projects to choose from. I can't wait to see what everyone else has chosen for their favourites! 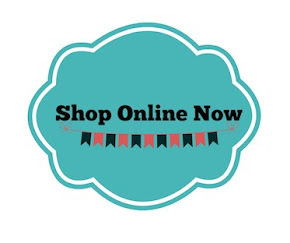 To continue the hop click through to ELIZABETH, I bet she has something delightful to share. I loved this image in the catalogue and love your CASE in the bigger frame even more. The matching card is just a bonus - mind if I CASE you? Um, AH-MAZING! I love both the frame and the card. I really struggle with masculine cards so I think I feel a CASE coming on! 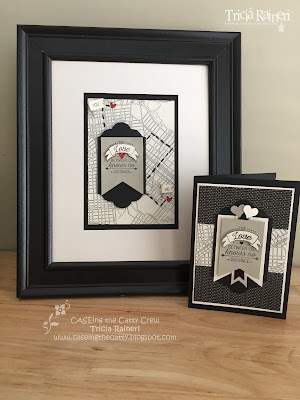 Your frame is wonderful, I love the attention to detail and the matching card is amazing too. Oh Tricia these are stunning. You are so talented! Love the special details. I have to agree with other comments here Tricia - your framed piece is so much nicer with the extra white space around it. Two fabulous projects. Such a beautiful CASE, your framed project is gorgeous. I love the stitching, it looks fabulous, you did a great job- and cutting the reindeer clips is inspired, such a nice effect with the flags. Tricia. Good on you for choosing this CASE. What an excellent job you've done on it. 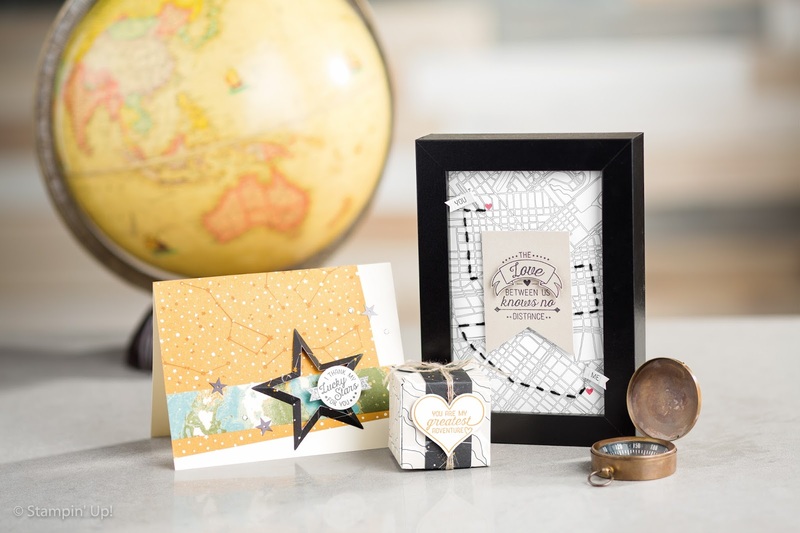 I love the Picture frame and the way you've used the map full on for it, and then reduced it to a band on the one card. Awesome! Thanks for sharing. You clipped the reindeer clips?! Ha, I laughed (in a good way) at your creativity. This is one gob smacking, amazing CASE! 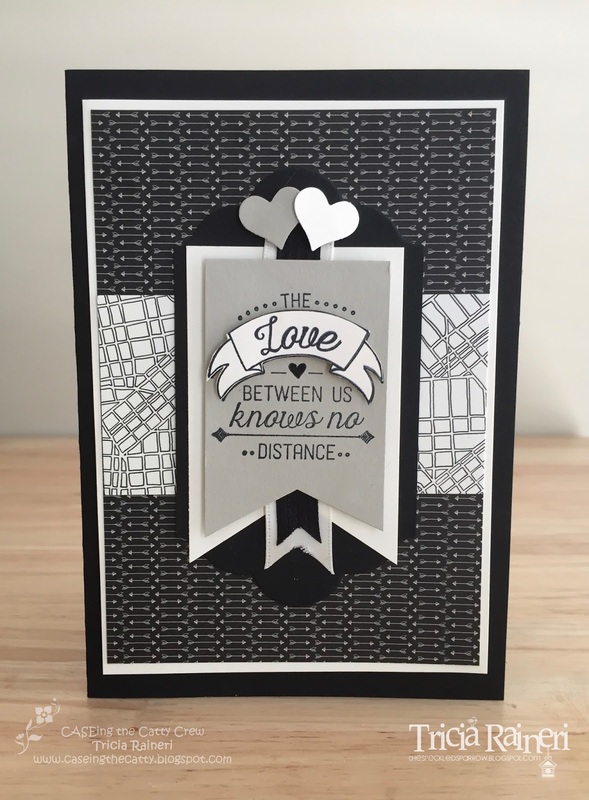 I bought this set so my hubby will get some decent cards from me as I don't enjoy making cards for blokes but I think this set will change the way I think. oooh I LOVE your CASE! I would never have thought to stitch - to me that was a marker job, but doesn't it look AMAZING!! I love this suite too, so your work is definitely an inspiration for me, so THANKYOU so much for sharing your creativity!! 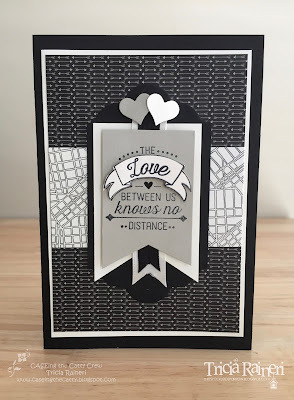 Wow, this is fabulous Tricia! 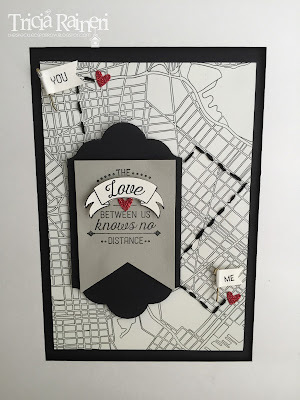 Love the extra pop from the black background and frame and the red glimmer hearts. Love all the details on the matching card as well. Just beautiful! I'm so glad you found your sanity!! Your frame is gorgeous. And I'm very impressed with your stitching!! Oh Tricia what a fantastic CASE - I liked the frame in the catty - but I LOVE your frame! The thin black and wide white matting make the centrepiece the centrepiece - if you know what I mean. They drew me into your frame! And that stitching is stinking cute - I've never tried that but am itching to CASE your CASE!